Summer and food festivals go hand in hand here in Los Angeles. In fact, it seems there’s hardly a weekend to be had between May and September without the opportunity to oogle over chef demos or practice the art of stacking as many tiny paper plates in one hand as possible. I embrace this culinary pageantry! It’s always a thrill to grub down on the delicious samplings of local restaurants among other enthusiasts…especially if you’ve not been able to score a table just yet. Hey, it happens to all of us. 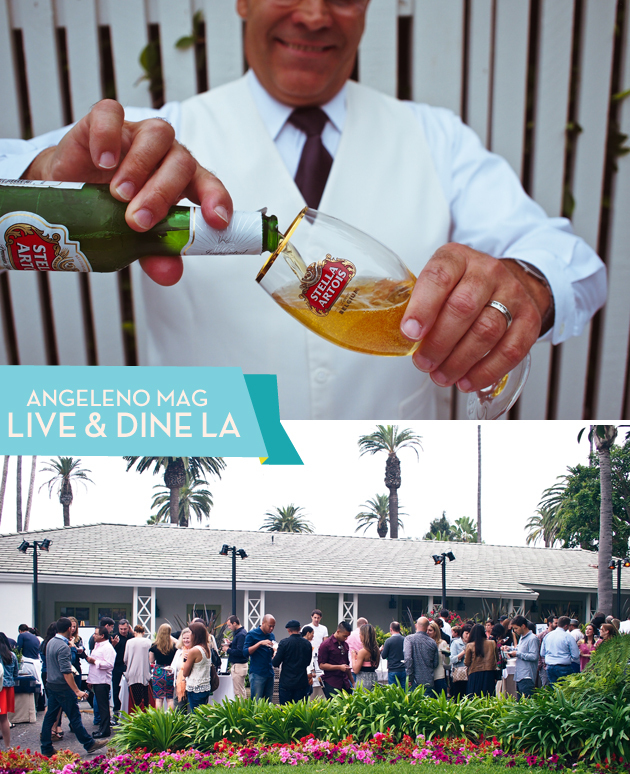 This past weekend Angeleno Magazine hosted the 11th annual Live & Dine event at the beautiful Fairmont Hotel & Bungalows to celebrate their Foodie 50 issue and showcase a few of those chosen as the best restaurants of 2013. Unlike other food events I’ve gone to, this one felt a little more intimate and tad less overwhelming …but do not be fooled: more manageable by no way means less food. Let’s just say I’ll be wearing spandex for the next week trying to recover. 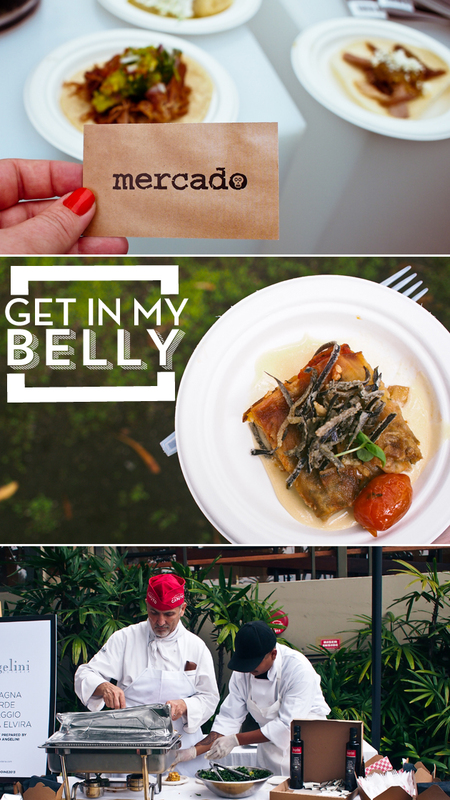 For me, food festivals can act somewhat like the CliffsNotes to dining about town. I have a lot of favorite places I visit around my own neighborhood and am very lucky to travel around other parts of LA to review spots for work while discovering new dishes…but to be honest it is nearly impossible to keep up with so many new places popping up around town. To really stay on top of the LA dining scene I would need a few extra days in the week and a second stomach. Thank goodness for afternoons allowing you to test drive a few new places without having to spend half of the trek in traffic. This festival not only lived up to the hype, but my no-really-you-must-visit list of restaurants has grown even longer. Let’s just say one bite was not enough and reservations are being made as we speak. Another highlight of the event is the up close and personal accessibility to the chefs. If you’ve ever dined with me, you know I love a seat with a view….of the kitchen. To top it off, the outdoor aspect takes things to another, dare I say Iron Chef, level of enthusiasm with unruly conditions, a limited set up, and lines piled up with instagraming mega fans. It’s frantic food fandom at it’s finest and you better believe I’m stepping back to soak up the scene. Regardless of event hurdles, the chefs could not be kinder or more willing to answer the most redundant of questions or pose their dishes for the never ending stream of hashtag delight. With a full belly and continued appreciation (not to mention pride) for the food being conjured up in this crazy city I call home – I salute Angeleno’s chosen ones. I’m looking forward to exploring even more places, discovering even more unique plates and a couple more months of summer #SummerEventures. What kind of food events do you have on your to-do list before summer’s end?! I want to do some internet festival traveling ~ please share links in the comments below! 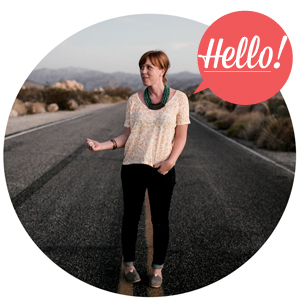 This post is part of an ongoing partnership with Eventbrite. LA. Eventbrite enables people all over the world to plan, promote, and sell out any event. It’s also a destination for people to discover awesome events going on in THEIR city! Whatever your desires, hobbies, or interests – from photography workshops and wine classes to food festivals and industry conferences, there’s an event on Eventbrite waiting for you to attend! Keep up on the goings-on in LA by following Eventbrite LA on Twitter, liking them on Facebook and Instagram! Planning an event? Go ahead and create an account to get started. © 2010 - 2013 The Cuisinerd. All Rights Reserved. The Cuisinerd™ is a registered trademark.